The result is an unabashedly violent B-movie throwback, the sort director John Carpenter used to make, with moments that resonate with real life. It still has the scary masks and jump-scares, but whether through its creators’ cleverness or current events, it is now disturbing on a much deeper level. The social commentary no longer feels like fake sloganeering. The First Purge completely earns its action-packed and rousing finale, but getting there certainly takes a while. Especially early on, Gerard McMurray often rejects the exhibitionist slaughter that James DeMonaco established as the Purge series’s modus operandi in favor of violence that’s rawer and realer. The First Purge is every bit as nakedly, hysterically symbolic as its predecessors. But if there’s one thing that the current political climate is teaching us, it’s that a subtle touch isn’t always the solution. The First Purge is another absurd B-movie, uneven and ludicrous across the board, but altogether transfixing for the way it funnels Trump-era terror into an empowering crowdpleaser. The First Purge actually pulls back somewhat on that sense of bloodthirsty anticipation. The violence here feels more tragic than ever, and it’s also some time coming; when Purge Night does start, the killing doesn’t begin immediately. As far as “summer movies” go, this one is a ride that’s worth taking, and will not leave you disappointed! It’s fun, and it’ll make you think, so what more can you really ask for? It’s not difficult to decipher where McMurray and DeMonaco’s true allegiances are, but by delivering the story within the framework of genre cinema at its most trashy and garish, the filmmakers convey any message as a bit of rough pleasure amid the kicks and thrills of a movie. At its best The First Purge functions like a much-reduced Purge movie retread. It’s not that it’s bad, really. It’s that we’ve seen this before. So four episodes in, and The Purge franchise is as nakedly provocative as ever. Wringing genre thrills from headline atrocities, The First Purge is at once crass and provocative in its timeliness—in Blumhouse’s toolshed, it’s the sledgehammer to Get Out’s scalpel. The First Purge is very clearly nonsense, and it’s not ashamed of that—nor should it be. Every so often, that nonsense stumbles into a surprising idea, a striking image, or something else worth clinging to when you leave the theater. The latest “Purge” is an erratic, fairly absorbing and righteously angry prequel. 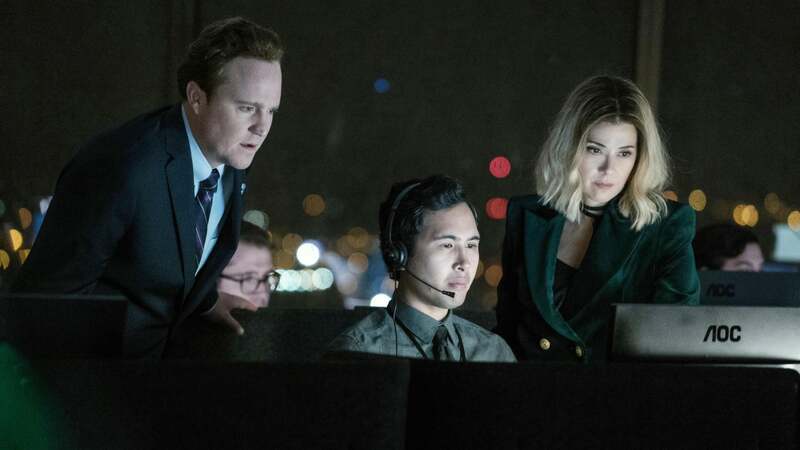 Boiling off the divisive political subtext and its associated sociological aspects, what we’re left with is an old-fashioned exploitation thriller. Seen in that context, The First Purge isn’t half-bad. It’s competently made, delivers its share of thrills and edge-of-the-seat moments, and gives the audience an opportunity to stand up and cheer. With a sharper focus on race and plenty of real-life horrors to draw from, Gerard McMurray brings a fresh perspective to this splashily satirical prequel. If only its action was as punchy as its ideas. The First Purge isn’t the beginning of the end of the franchise, just the start of where the narrative’s “civility” starts to erode and where that leads. The First Purge is pretty good if you’re not averse to caricatures, predictable twists, and lots of familiar B-movie tropes. Even the most ardent fan could find its bluntness uncomfortably timely: In our build-that-wall moment, a story about a government-sponsored plan to cull poor minorities feels less like political satire than current-affairs commentary. The First Purge is as visually hair-raising as its predecessors, with the usual range of inventively horrible masks worn by the Purgers (the costume designer is Amela Baksic), and a brilliantly achieved transition from a hard-edged, social-realist visual style in the film’s opening act to the overtly John Carpenter-esque gloss and throb of Purge Night itself. Where the Purge movies could have been about the slow — and then terrifyingly rapid — dismissal of morality and social norms, like "High-Rise," it chooses instead to skate through those haunted house scares and clunky symbolism. The First Purge becomes a call to arms so to speak (sometimes to its detriment) — a reminder that we must stand up and for each other at the voting booths and in our communities now so we won’t need the civil war of Election Year. The First Purge has a lot of narrative and unsubtle subtext to cram into a movie that’s barely 90 minutes long. In fact, its big, violent finish notwithstanding, a lot of it is quite dull and its pacing inconsistent. By exposing on the top-down class-warfare origins of the annual event, the prequel elaborates on the series’ earnest political commentary — and exposes its limits as well. Inside The First Purge is a scrappy little indie fighting to come out. Although this is the fourth installment in the Purge franchise, it’s a prequel to the other three, a chance to be born anew. A missed chance, as it turns out. McMurray has a deft touch juggling action sequences, humor and intimate dialogue. While trying to hit the basic markers that have come to define a Purge film, The First Purge comes up empty when mining real-life tragedies as the backdrop for a summer movie. This is the culmination of DeMonaco’s seething Purge scenarios, which have become increasingly focused on polarization and rage. It knows what year it’s coming out — on July 4, no less — and it’s slamming on every hot button it can find. That might be cathartic. It might also be turning pain into entertainment. With The First Purge, your mileage may vary. The film does mix up the formula in some ways. Unfortunately, these changes are by and large for the worse. It edges away from horror and more towards action, favoring shootouts to scares. The latter are in short supply. 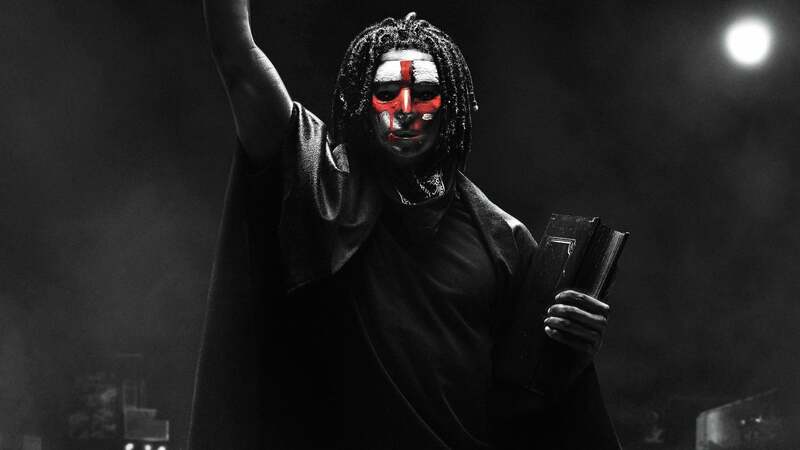 The First Purge doubles-down on bloody opposition against true-to-life societal fears, but abandons the subtlety needed to prevent Gerard McMurray’s prequel from becoming anything more than hateful retribution. Despite the assistance reality continues to give it, making an annual rite of government-sanctioned racial violence seem less far-fetched by the day (or by the tweet), Gerard McMurray's The First Purge still fails to establish a persuasive connection to our own moment in time — its occasional winks to current events serving as limp zingers instead of stinging commentary. Once the mercenaries start tooling around wearing actual Ku Klux Klan outfits, the pretenses to allegory have gone out the window. And yes, it is salutary to see guys with pointy hoods getting blown away by righteous African-American avengers. But the cinematic cost of getting there was not, for this viewer, worth it. The First Purge— for all that it could have said about race and class in America— is perfectly content to provide the bare minimum and deliver some cheap thrills. And in doing so, the thrills come at the expense of the seemingly sharp points, now blunt, no longer cutting deep and drawing blood like they used to. First Purge further lessens the drama by offering a hero and villains too mercenary to care about.